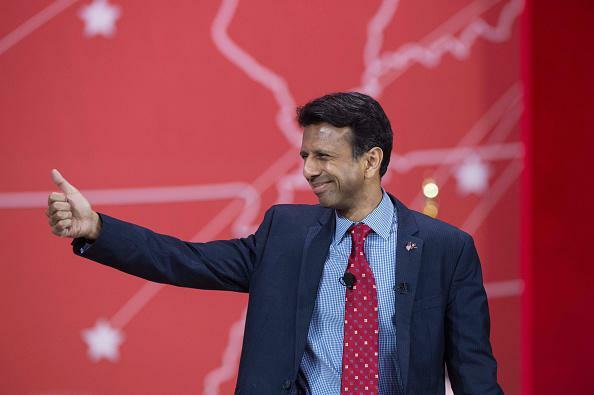 Bobby Jindal, term limits, Iran, and the Series of Superfluous Announcements. Arkansas Republican Tom Cotton and 46 other GOP senators released an open letter to Iran on Monday stating that President Obama will be leaving office in two years and noting that, if Iran and the United States merely create an “executive agreement” rather than a treaty approved by Congress, a future president might end the agreement. The question of whether this was a constitutionally appropriate action for the senators to take is being debated by many people; one thing that generally hasn’t come up in the aftermath of the letter’s release is whether Iran might need to see a slightly different group of politicians sign the letter in order to re-emphasize the concept of term limits. No one is thinking about that issue except Louisiana Gov. and alleged Republican presidential contender Bobby Jindal. Anyone thinking of running for Prez, on both sides, should sign on to the letter to make clear that Iran is negotiating w/ lame duck Prez. In case the leaders of Iran, a country whose presidents are themselves subject to term limits, haven’t read our Constitution, read Cotton’s internationally controversial letter, or simply noticed in the course of their daily lives that no American presidents since FDR have served more than two terms, Bobby Jindal is here (on Twitter) to help (tweet pointlessly). Nobody even asked him, but just in case you were wondering what Jindal thought about smearing Obama’s patriotism — which was not a subject of intense curiosity, for the same reason nobody has wondered what Harvey Fierstein thinks about Alabama blocking gay marriage — he has cleared things up. What all of these announcements have in common, besides being unnecessary, is that they involve Bobby Jindal trying (barely trying) to get attention by piggybacking onto something newsworthy that someone else did. Bobby Jindal’s presidential campaign is a book report written (in poorly punctuated sentence fragments) after reading someone else’s book report thirty seconds before class.